THE Department of Tourism (DOT) 7 will spearhead a dialogue with the Department of Transportation (DOTr) to improve the water transport in Cebu. 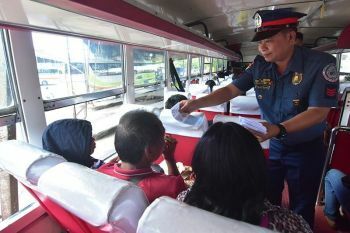 DOT 7 Director Shahlimar Tamano said water transport is the alternative route tourists could take from Mactan to the north and south of Cebu so they could get to their destination fast and escape the horrible traffic in the metro. “We need to focus on the improvement of the mobility of our tourists. 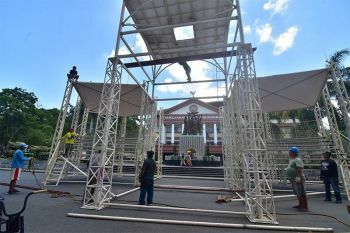 They should not be stuck in traffic or have difficulty getting to their desired destination,” said Tamano at the sidelines of the Routes Asia 2019 Summit held in Cebu. Tamano, during the open forum asked Routes panelists if Cebu’s marketing efforts are enough to lure airlines to mount direct flights, to which Stephen Milstrey, general manager for Network Planning and Scheduling of HK Express, responded, “Cebu needs to build an enormous amount of infrastructure.” Milstrey added that Cebu needs to build a collaborative environment for airlines to thrive and sustain their operations in a city for a longer term. “Airlines are torn between putting a slot in a lucrative market or put slot on a new, risky and unproven market. All (stakeholders) should come together to build the destination,” he said, noting that embarking on such big collaboration somehow lowers the risk of carriers should they pursue new markets. According to Tamano, the airlines’ job is to bring the passengers from point A to point B safely, and that sustaining passenger traffic is a responsibility of the tourism stakeholders of a particular city. “Tourists should have a memorable stay here because that would help sustain airline operations. If they aren’t happy, and they decide not to come back, then these airlines will look for other destinations that tourists would love to keep coming back to,” said Tamano. He said mounting routes through fastcrafts from Mactan to the northern towns like Bantayan, Camotes and Malapascua islands, and from Mactan to the south like Oslob, Badian and Sumilon, will help cut the travel time of tourists, giving them more time to enjoy these destinations. For a trip to Bantayan Island, a tourist has to devote some five hours or a total of 10 hours for a round trip. “We have already been talking to some vessels. 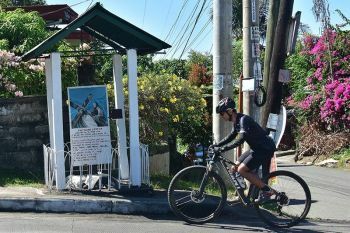 But to start a missionary route, there should be incentives,” said Tamano, adding that incentives should be given by the DOTr or the Maritime Industry Authority. “We need to seriously think about this. The DOT will lead the dialogue with concerned agencies,” he said. 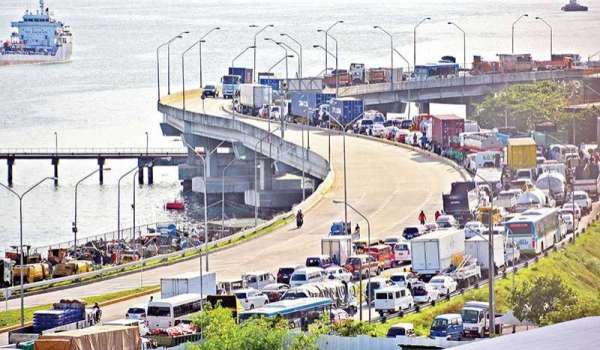 Cebu’ tourism industry is threatened by traffic jams every day. While it gives unwarranted frustration to tourists and causes headaches to commuters and loss in revenues to businesses, Cebu’s tourism frontliners have found a way to make every guest’s stay worthwhile. “We don’t tell tourists about Cebu’s traffic. We avoid telling them that,” said Mary Grace Melendres, president of the Cebu Association of Tourist Guides, in a previous interview. “When we feel they are already bored after staying long hours on the road, we stop in places we think would interest them. We bring them to the markets and other sight-seeing areas as an added service without raising the rates.” For Melendres, Cebu’s traffic congestion has challenged them to go the extra mile just to please tourists, and give them the kind of tourism experience they deserve. But she admitted they have revised some itineraries to make tours comfortable and avoid a long stand-still on the road. Instead of offering tourists a five to six-hour one-day twin city tour, which covers Mactan Island and Cebu City, travel agents have expanded their offers by splitting the one-day twin city tours into individual tour offerings. Meanwhile, after Cebu’s successful hosting of the Routes Asia, a big-ticket event attended by 1,200 delegates last week, Tamano said they anticipate a surge in the arrival of tourists and entry of new airlines that would make Cebu and the Philippines their new area for route expansion. “The destination has to build a good business case. There is also a need to raise the awareness of the destination,” said Milstrey. The Mactan Cebu International Airport’s network has expanded rapidly and currently consists of 24 international and 33 domestic destinations. By 2025, aviation in Asia-Pacific region is expected to support 72 million jobs and $1,340 billion in gross domestic product. Routes Asia 2019 was jointly hosted by the DOT and the Mactan-Cebu International Airport Authority.